Shavuot begins on Saturday evening, May 11, 2019 C.E. on the Creation Calendar. Yom Teruah begins on Saturday evening, August 31, 2019 C.E. on the Creation Calendar. Yom Kippur begins on Monday evening, September 9, 2019 C.E. on the Creation Calendar. The first Sabbath of Sukkot begins on Saturday evening, September 14, 2019 C.E. on the Creation Calendar. Shemini Atzeret begins on Saturday evening, September 21, 2019 C.E. on the Creation Calendar. The Creation Calendar is the 7000 year framework of time, integral to the design of the universe. יהושע the Messiah has determined to perfect the universe within 7000 years. The universe contains seven 1000 year periods called millennia. A millennium contains 20 Jubilee Cycles where each cycle lasts 50 years. יהוה told Noah in Genesis 6:3 that after 120 Jubilee Years, or 6000 years, He would no longer strive with mortal man. At the end of the sixth millennium יהושע the Messiah will grant the gift of eternal life - the Age of Life to all who believe and obey Him. The precise movements of the earth and moon together with the words of Elohim reveal the truth of the universe. His Creation Calendar is perfectly synchronized to these precise movements. The Spirit of Truth has been given to lead and guide mankind into all truth. Daniel said in Daniel 12:4 that knowledge would increase. Man now understands the precise movements of the heavenly bodies better than ever before. As Genesis 1:14 says, the sun and moon were created for signs, appointed times, days and years - the wisdom is to correctly use them for their created purpose, in order to understand the 7000 Year Plan of יהושע the Messiah. Those who believe and obey יהושע the Messiah are instructed by Him to watch for His return (Matthew 24:42). The servants of Elohim who are watching when the Master returns are called blessed by יהושע the Messiah (Luke 12:37, Revelation 16:15). The Scriptures say five times that יהושע the Messiah will come as a thief (1 Thessalonians 5:2-4, 2 Peter 3:10, Revelation 3:3, 16:15). However, He will only come as a thief to those who are not watching (1 Thessalonians 5:4-6, Revelation 3:3). This site has been designed to assist those who are watching. Hebrew Hours are based on the time between sunrise and sunset. Watch the sun moving across the sky at Jerusalem. See what the new moon will look like in Jerusalem for any Hebrew Month in history. Locate positions of the earth and the moon for any day in history. See how the Rule of the Equinox decides Hebrew Years. The Creation Calendar of יהוה was in use for the first 4000 years of mankind's history. This calendar was observed by the patriarchs who lived before the flood including Adam, Seth, Enoch and Noah. The descendants of Noah after the flood also used it including Shem, Abraham, Sarah, Isaac, Rebecca, Jacob, Leah, Rachel, Joseph, Moses, Joshua, Ruth and Samuel. Great kings have used it including David and Solomon and their descendants. The prophets of יהוה have observed it including Elijah, Elisha, Isaiah, Jeremiah, Ezekiel, Daniel, Hosea, Joel, Amos, Obadiah, Jonah, Micah, Nahum, Habakkuk, Zephaniah, Haggai, Zechariah and Malachi. After the Babylonian captivity, Ezra, Nehemiah and Esther used it. יהושע the Messiah and His emissaries followed it including John, Peter, James, Jude, Matthew, Mark, Luke and Paul. Elohim says in Genesis 1:14-19, that the primary purpose for which He created the greater light and the lesser light on the fourth day of the physical universe was for signs – which are New Moons and solar and lunar eclipses. He also created them for appointed times, days and years. In Luke 17:20-24, the Pharisees asked יהושע when the kingdom of Elohim would come. He told them that the kingdom of Elohim does not come with observation, but that the kingdom of Elohim is within you, and that He would come as lightning in His day. From these words of יהושע it appears that the Millennial Kingdom of Elohim may not come on the day of an eclipse or an astronomical conjunction. It seems that the main reason that יהוה created the signs in the heavens is to determine days and years. This is why Moses in Psalms 90:4 gave us the truth of the 7000 Plan of Elohim. Peter said in 2 Peter 3:8 that the 7000 Year Plan of Elohim was one thing not to be ignorant of. And this is why Moses in Psalms 90:12 prayed to יהוה that He would teach us how to number our days. 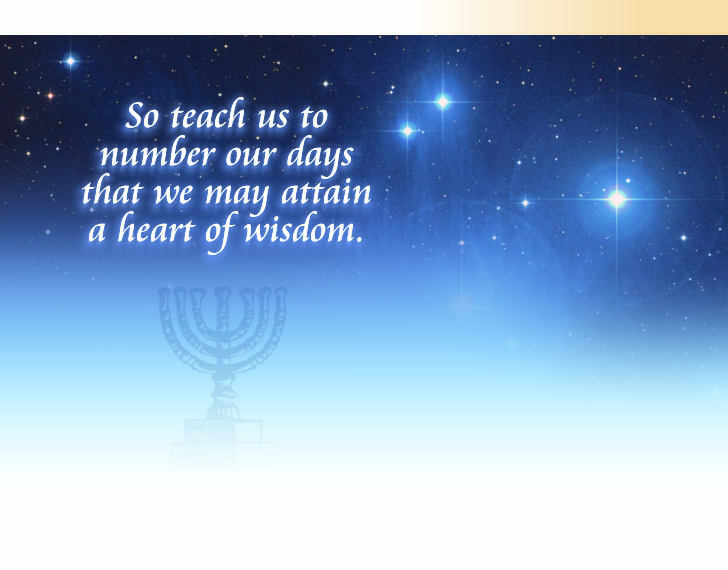 For only when the people of Elohim learn how to number their days will they be able to know when the epoch of creation occurred, and subsequently the day by which the seventh millennium will begin. יהוה Himself said in Isaiah 46:8-13 that He declares the end from the beginning. For the prophets and the apostles have clearly taught us that the Millennial Kingdom of Elohim will come after the completion of 6000 Hebrew Years.